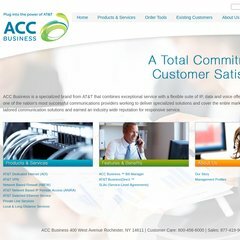 Topics: Acc Business Bill Manager, Acc Businessdirect, Service-level Agreements, Private Network Transport, Long Distance Services, and Local Services. The programming language environment is PHP/5.2.17. It has 2 DNS records, ns35a.att-webhosting.com, and ns35b.att-webhosting.com. It is hosted by Ntt America Inc (Colorado, Centennial,) using Apache/1 web server. PING www. (198.171.189.44) 56(84) bytes of data.